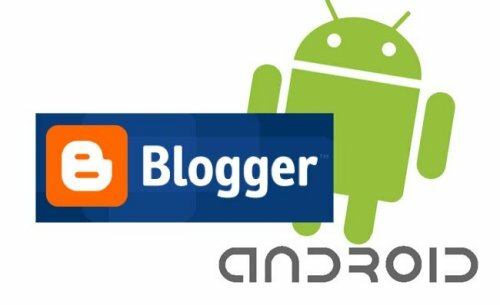 Blogger recently announced their Blogger application for Android platform for mobile devices but unfortunately couldn't really set a mark there. The new application though looks great appearance wise but have many bugs to deal with. 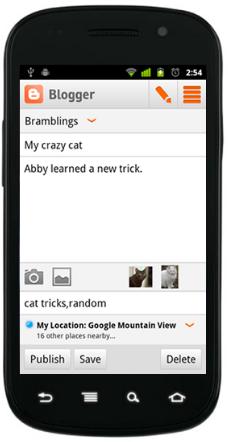 Thousands of people who have downloaded this android application are not satisfied with what Google present them. The application seems to crash quite frequently even when the user isn't using the app. Yes you heard it right. Even though the application is minimized and is in the ram tray, the app crashes right from there and closes down. That's pretty annoying indeed. Also many users complain that the application keeps on posting notifications ruthlessly for the post that it has published. You would see many of your blogs old post being published by this app. In reality the post isn't really published to your blog, instead it keeps on giving such annoying notifications that the post has been published. wow! "Constant force closing and sporadically re posts old entries. " "This could be great, but it re posts the posts again and again. That renders ..."
"Keeps republishing an old post every 30 min on htc wildfire s with newest ... "
"If the re posting issue is not fixed soon than its going to meet the uninstall button. " "Regularly force closes even when not running in foreground since latest update. " "Either let me disabled notification or stop saying old articles are published over and over. Annoyed and uninstall "
Even after the update, the application seems to make problems. Another big concern is that the app doesn't allow to edit the posts that are already published before from desktop version. This is pretty awful. So in an all, this Blogger application isn't stable at the moment and requires huge attention from the programmers. To compete with the other cool blogging applications around like WordPress etc. Blogger really needs to put in their all efforts to make this app a success. It says publishing my post but it can't open. I haven't written that anywhere that's very important for me how to fix that? Blogger app has worked perfect on galaxy S5 phone for a couple years! Yesterday, i couldn't open it cause it keeps asking me to login. When I do, it says "authentication failed". The good part is I can still login via Web browser, but the saved drafts on the app are not saved on the blogger website. I've uninstalled, cleaned out the old folder and reinstalled but still no login. Is it a coincidence that I changed password on my Google acct online and now Blogger app won't work?